Cheteshwar Pujara scored a memorable century on Day 2 of the fourth Test against England as India were bowled out for 273, thereby taking a slim 27-run lead. Cheteshwar Pujara underlined his importance in the current Indian batting line-up with an innings of immense grit and patience that saw him cop a blow to helmet, endure a batting collapse and then farm strike with the tail-enders en route to a memorable 15th Test century. 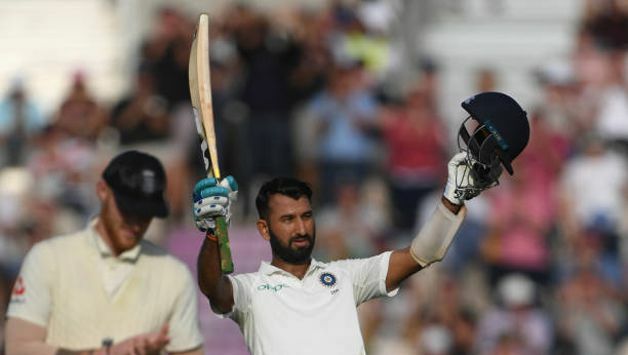 After being dropped for the series opener at Edgbaston, Pujara answered his critics in style who complained of his slow-scoring rate with an unbeaten 132 to hand India a slim 27-run lead as they were bowled out for 273 in their first innings on Day 2 of the fourth Test in Southampton on Friday. 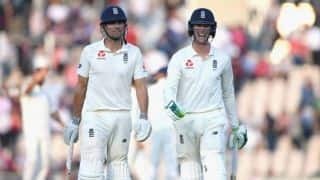 Pujara, who struck 16 fours during his innings, was the captain India needed to steady their ship that encountered an iceberg going by the name of Moeen Ali who in quick time picked up his fifth five-wicket haul in Tests and at one stage was on a hat-trick. 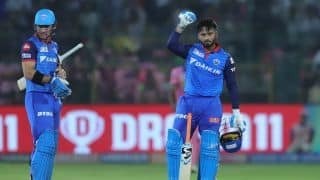 After dismissing Rishabh Pant for a 29-ball duck at the stroke of tea, he ran through the Indian lower order. 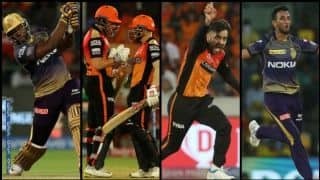 Hardik Pandya flicked one to be caught on 4, R Ashwin attempted a reverse sweep to be bowled on 1 and Mohammed Shami was out for a first-ball duck during a phase when India slumped from 181/5 to 191/8. Ishant Sharma faced the hat-trick ball with six close-in fielders baying for his blood. He offered a textbook forward defense to smother the ball and survived. He did better than just survive as Pujara neared three figures. He was being kept off the strike but when on, did not shy away from playing his shots when presented with the opportunity. Meanwhile, Pujara cut and drove Moeen to enter the 90s. Ishant grew in confidence and swept Moeen for a four but was out next ball when he edged one to forward short-leg to be caught on 14. 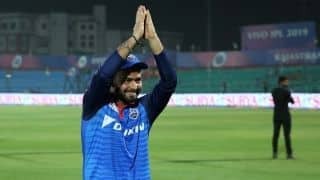 Next one to walk in was Jasprit Bumrah. Pujara was aware giving him the strike would be a risky proposition. 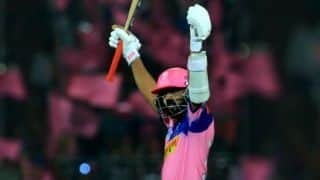 So he negotiated an Adil Rashid over before keeping the strike for himself and then reached the magical figures – his first century in England and second outside Asia. The Indian dressing room rose in unison with captain Virat Kohli taking the lead in applauding him for his superb effort. It was a a combination of two Pujaras – one who played in typical fashion, grinding it out, wearing down the bowlers. Then when push came to shove, after the second new ball was taken, lofted and drove Stuart Broad for consecutive boundaries. His 46-run association with Bumrah (6) proved crucial as he dragged India ahead when at one stage it looked certain the hosts will end up with the first-innings lead. The day began with an absorbing morning session. 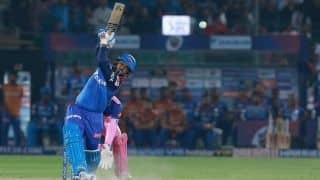 Shikhar Dhawan (23) and KL Rahul (19), India’s overnight batsmen, looked set to build on their respective starts until Stuart Broad dented the promise by getting rid of both the openers back in the space of 13 runs. At 50/2, another wicket could have hurt the visitors. But the man walking out at the fall of India’s second wicket, ensured his team did not flounder. Kohli and Pujara played out a testing period to take India to 100/2 at the lunch interval. Kohli became the second quickest from India to complete 6000 runs in Test cricket. But the scenario changed dramatically thereafter. England, riding on Moeen and a superb spell from Ben Stokes, hurled themselves back in the contest in the post-lunch session. Kohli, the series leading run-getter, was edgy and pushed after deliveries outside off. An edge off Ali flew through the gap between keeper and first slip for four. 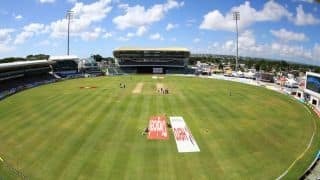 But Kohli (46) was soon heading towards what looked like yet another half-century when Sam Curran returned to induce an edge and Alastair Cook did well to pouch a low catch in the at first slip. And then, surprisingly, Stokes came in to bowl. And soon it became clear why he was asked to roll his arm over as he began troubling the Indian batsmen. Pujara, who was rock-solid despite a few nervy moments in between, scored his 19th Test fifty. He soon edged one that flew through the slip cordon for a four. An over later, Ajinkya Rahane nicked him to the right of Root but the England captain only managed a hand at second slip. 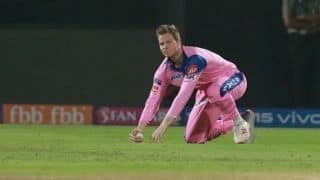 Stokes was soon rewarded, trapping Rahane (11), who unsuccessfully reviewed the lbw decision despite replays suggesting the bowler might have overstepped. Pujara then copped a blow to his helmet as he attempted to pull a bouncer from Stokes. That caused a brief delay as the physio came out to attend him. 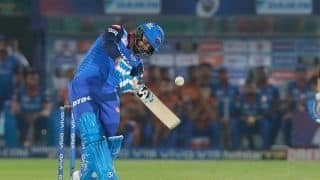 After a change of helmet, Pujara resumed, more determined and later on, dismissed a half-volley from the England allrounder through covers for his eighth boundary. 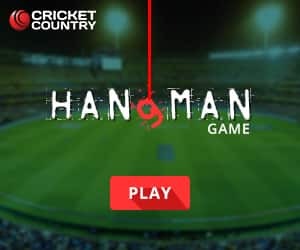 Pujara stayed put and remained unfazed despite witnessing the Indian innings crumble around him as he single-handedly pushed his team out of a hole. England were left to play four overs which they successfully negotiated to finish the day at 6/0, trailing India by 21 runs. 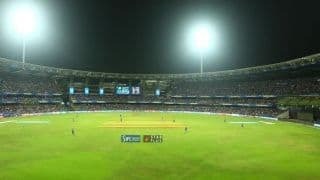 MCA to lose iconic Wankhede Stadium due to non-payment of dues?